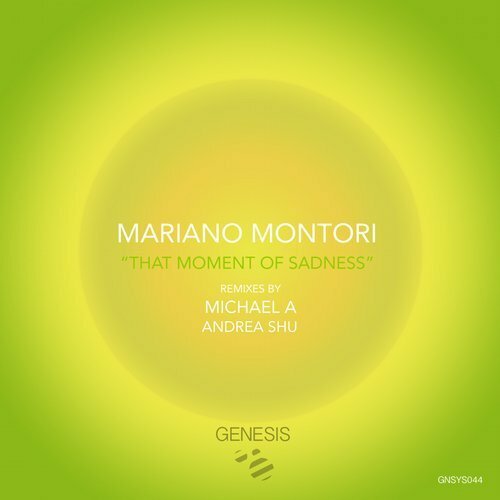 Michael A’s Genesis Music returns this week with a new single from Mariano Montori. The Argentinean artist is making his debut on the Belarus based imprint which follows a breakout year in 2016. Releases on Balkan Connection, Just Movement and Superordinate Music proved to be outstanding while a flurry of secret bootlegs earned the support of Hernan Cattaneo and Nick Warren. Now for his much anticipated first release of 2017 Mariano presents ‘That Moment Of Sadness’ alongside remixes from Michael A and Andrea Shu. From a deep and mysterious beginning the track brings a warm, inviting vibe as a smooth groove and luminous tones surround the framework. Spacey electronics add amazing depth while trailing effects leave a reflective mood as the first breakdown commences. A melodic showcase of sorts, it’s the perfect interlude as the track transitions back into stripped, heads down mode for the second act. It’s quite an apt title as there is a high degree of melancholia emanating from those lead elements, reaching their peak around the six minute mark, as the second and final break unfolds. A lovely and thought provoking piece from Mariano. The first interpretation is provided Andrea Shu who is returning to the label for his seventh appearance. It was an interesting 2016 for the Belarus based artist. After getting his start with the label in 2015, Andrea went on to showcase his music on Balkan Connection and Bonzai Records. He’s coming up fast and in a similar fashion to fellow countrymen Dmitry Molosh and Michael A. Here he takes ‘That Moment Of Sadness’ into tougher, more peak time territory. The sturdy, well shaped groove immediately grabs your attention as silky atmospherics and indistinct vocals surround the framework. A dark, rhythmic core is perhaps it’s strongest suit, ultimately making for an intense first act. As the main break commences the melodic elements do rise to prominence but with a growling, ominous underbelly. A great contrast and one which paints an entirely different, emotional picture than the original. A monster remix from Andrea and surely the best of his career. The release concludes with Genesis boss Michael A turning in a funky, tribal infused version which complements the previous two versions perfectly. A slightly slower tempo and more spacious low end make a world of difference and definitely takes a bit of the progressive context off it. It’s a departure for Michael of sorts I think and really cool to see. What’s most intriguing are the revamped melodies, very airy and ethereal in delivery which only adds the deep, vibey mood of the mix. It’s ends the release off on a lovely note and shows Michael’s ever growing versatility as well. Another great offering from Genesis Music. Don’t miss it.